The Matador was a lorry/military chassis designed as a 4x2 or 4x4 arrangement that served a variety of military roles. As a 4x4 it formed the basis of the Deacon anti-tank gun. Produced at Park Royal. To me it looks very fragile and open to easy attack. 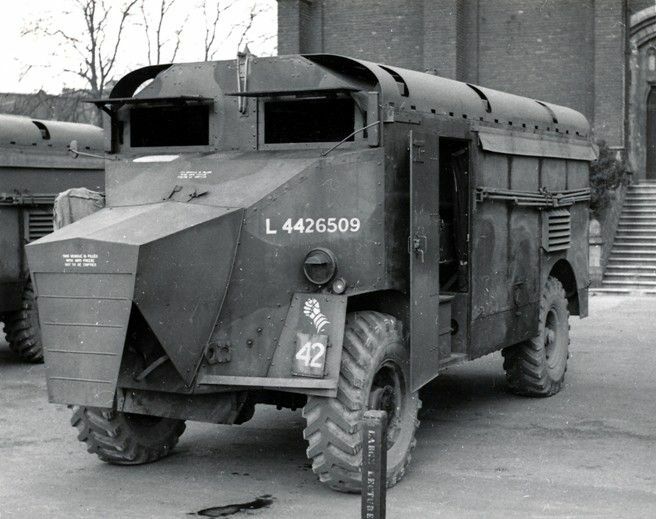 Also based on the AEC Matador chassis was the "Dorchester ” Armoured Command Vehicle. It is not known which company produced the bodywork for this vehicle. It might have been PRV and I show this image here in case anyone can shed light on its body builder. Does anyone know? Ed. The photograph from the collection of David Haugh is reproduced here by kind permission of War Wheels. Further information on the Dorchester can be found here.